Streatham Cemetery is currently accepting burials in a beautiful open area with abundant wildlife and a rich local history. Streatham Cemetery was opened in 1893 and was was managed by the Metropolitan Borough of Wandsworth until 1965 when it came into Lambeth’s ownership. It is now maintained as a lawn cemetery although there are still some fine old monuments, two of which can be seen standing near the entrance. There are also musicians, composers, dancers and music hall artistes of the 19th century. Others made a living on the Thames as stevedores, shore-porters loading and unloading the boats at the docks, or ‘mud larks’, the rivers equivalent of beachcombers. There was a local glass manufacturer with numerous employees, a couple of breweries, a thriving millinery industry, and basically anything that could be done at home to earn a crust. A service of any denomination may take place here, or you may wish to have a service at your own place of worship first, followed by either a short committal service in the chapel, or at the graveside. An officiant to take the service should be arranged by your Funeral Director, however, it is perfectly permissible for a family member to lead the ceremony. The service chapel in Streatham Cemetery is in gothic revival style similar to that in Lambeth Cemetery and is furnished with a modern sound system and a small single manual chamber organ. Our attendant can play your CDs or tapes. 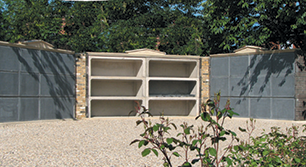 There are limited grave spaces left at Streatham Cemetery, granite chambers are also available and the only option for pre-purchase or reserve.. As at Lambeth Cemetery, Lambeth and Wandsworth residents who pay council tax in either borough can be buried at the resident rate for burial fees. A continuation of the burial chambers is ongoing with project completion expected in April 2019. 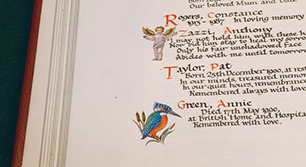 This expansion of the chambers offers a further choice for those considering a burial and has the benefit of an automatic 50 year exclusive right of burial and the option to purchase in advance. Streatham Cemetery is currently a lawn cemetery, please note the regulations are currently under revision. Kerbs or full memorials are not permitted at present, please check this page periodically for updates. 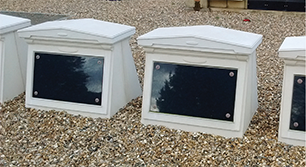 The Bereavement Services team, your selected Funeral Director or a stone mason can advise you on your choice of memorial and apply for the necessary permit. This style of chamber is only available at Streatham Cemetery. This only available at Streatham Cemetery.